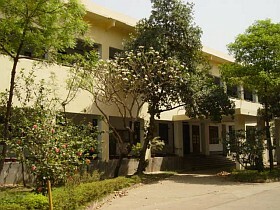 The Department of Computer Science and Engineering, the first department of its kind, was established in 1982 under the faculty of Electrical and Electronics Engineering. From the very initial days of its establishment, it has been able to attract the very best students of the country. Students securing topmost merit positions in the legendary admission test of BUET opt for studies in this department. At the very beginning, the department offered only M. Sc. Engg. and M Engg. degrees in Computer Science and Engineering. The Undergraduate program started in 1986. At first, 30 students were admitted each year for pursuing the B.Sc. Engineering degree. Starting from the academic session 1994-1995, the number was increased to 45 and from the session 1997-1998 the number was further increased to 60. Considering the growing need of computer science graduates, the department decided to enroll 120 students per session and started to do so from the academic session 2000-2001. So far in 18 batches 1042 students have been awarded B.Sc. Engineering, more than 138 M.Sc Engineering and 2 Ph.D. degree from this department. The department has now active faculty strength of 62 with 15 having Ph.D. Degree in different branches of Computer Science and Engineering. Currently 18 teachers are abroad for higher studies. Over the years, this ever-flourishing department has been providing the technical foundation, scholarly guidance and leadership skills that have resulted in a number of highly qualified and skilled computer graduates, proving their potentiality home and abroad. With an educated, sincere and enthusiastic faculty, a continuous enrollment of brilliant students and an amicable teacher-student interaction - the department has become a unique one in its field.